This Legal Notice regulates the use of the present website owned by Bowling Chamartín S.A., with registered office at Estación de Chamartín S/N 28036 Madrid, and recorded at the Spanish Register of Commerce and Companies of Madrid with identification number A-28582393, Tomo 5.890, Folio 25 Hoja M-48.557, and with email address rgpd@bowlingchamartin.com. The contents of this website are aimed at providing information about the company’s activities, products and services. Bowling Chamartín S.A. holds the intellectual property rights to the images, texts, designs, animations and other contents or elements available from this website; or has the necessary permissions for use. Therefore, their reproduction, distribution, public communication and transformation are prohibited. Bowling Chamartín S.A. shall not be liable for the misuse of the contents of this website and reserves the right to update or modify the information contained on the portal at any time and without prior notice, including the configuration and presentation thereof. Bowling Chamartín S.A. cannot fully guarantee the operation of the communication networks, and consequently declines any liability for the availability of its server. The server may be switched off at any time and without prior notice. Bowling Chamartín S.A. will not be held responsible for any damage or prejudice suffered by the user derived from access to this server, or from use of the information or applications contained herein. 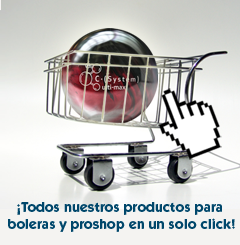 Bowling Chamartín S.A. does not assume any liability derived from the connections or contents of links to websites belonging to third parties that are referenced in this site. Bowling Chamartín S.A. shall not be liable for computer damages or for any other kind of damages that the user may suffer whilst accessing the contents of this site. Therefore, Bowling Chamartín S.A. cannot warrant the absence of viruses or other harmful elements that may damage or alter the user’s computer system, electronic documents or files, and will not be held responsible for any damage or prejudice suffered by the user or other third parties derived from such harmful elements. The personal data submitted on a voluntary basis by e-mail or by this form are incorporated into the data-processing system owned by Bowling Chamartín S.A. and will be treated faithfully and lawfully according to the principles and rights included in the Regulation (EU) 2016/679 of the European Parliament and of the Council of 27 April 2016, and other regulations underway. We also advice you of the rights of access, correction, processing limitation, cancellation, elimination and objection in relation to your personal data processed, according to the General Data Protection Regulation (EU) 2016/679 of the European Parliament and of the Council of 27 April 2016, which you can exercise by writing to the following address: Estación de Chamartín S/N 28036 Madrid.